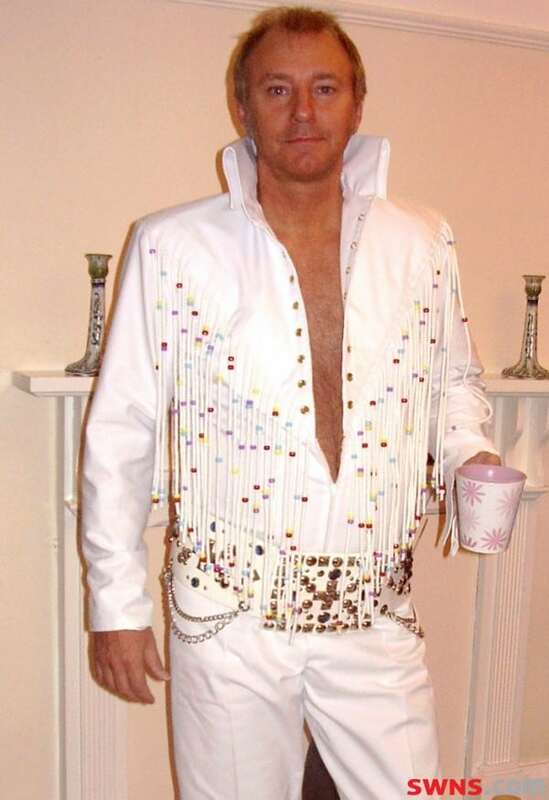 An Elvis fanatic has been accused of stealing a charity cash sum at his own mother-in-law’s funeral. Christopher Martin Burrows, a devoted fan and impersonator of the rock legend, even belted out of his songs at the service, singing “The Wonder Of You,” however he has been accused of stealing the show and stealing a charity collection raised by mourners. Burrows, denied the charge of theft at Leicester Crown Court on Thursday 23rd February. However, he is accused of stealing £290 raised in honour of his dead mother in-law, Solange Scott, which was to be given to Macmillan Cancer Support, on October 27th 2015. 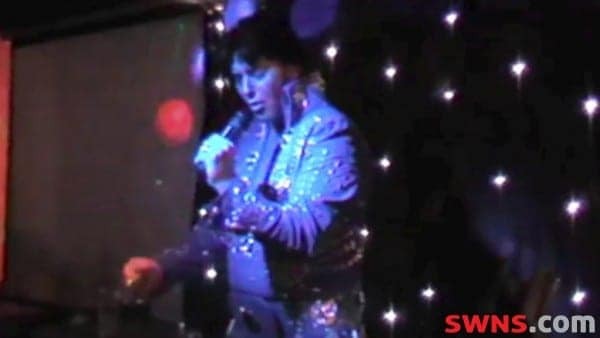 The jury was informed that Burrows was known as an Elvis impersonator across the country, and performed at many venues as the world famous star, who claimed that Tom Jones was his favourite singer. Prosecutor Jonathan Eley said the cash was stolen by Burrows at the service which was held at St Peter and St Paul Church in Hathern, Leics. He added: “This case is about theft – of taking something that isn’t yours. “That is the allegation. His then wife’s mother, Solange Scott, sadly passed away in 2015 and her funeral was held in Hathern Church. “During the service, the defendant performed a song in tribute and was in charge of playing other music. “During the funeral, a collection was taken which was to be donated to Macmillan Cancer Support. That amounted to £290. The court heard Burrows was arrested in March last year after Mr Scott discovered Macmillan Cancer Support hadn’t receive the £290 donation. Mr Eley read out a statement from a charity official confirmed they had not received the money. The court heard that Burrows claims he left the envelope on a church pew and forgot to take it with him at the end of the funeral.